$39 registration fee for previous Axiom Success Challenge participants or those who already have a MyZone. Valid with discount code only . Each participant will receive emails every Sunday night that will include a video and fitness tips from Trainer Mike. There are 2 age groups under Male/Female categories - Under 40 and 40+. A CASH PRIZE of $250 goes to the winner of each category (per club) that has the greatest percentage decrease in body weight. They will also receive a 6 month membership and a free entry to the next challenge! 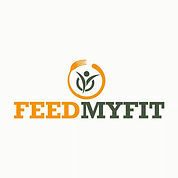 2 overall winners (1 Male and 1 Female) will win 1 month of FeedMyFit food, a 1 year Axiom membership and 10 personal training sessions!